Dr Elaine Lancaster, Chief Technical Officer for Groupe Atlantic with a PhD in metallurgy, is an excellent example of what women in the HVAC sector can achieve. 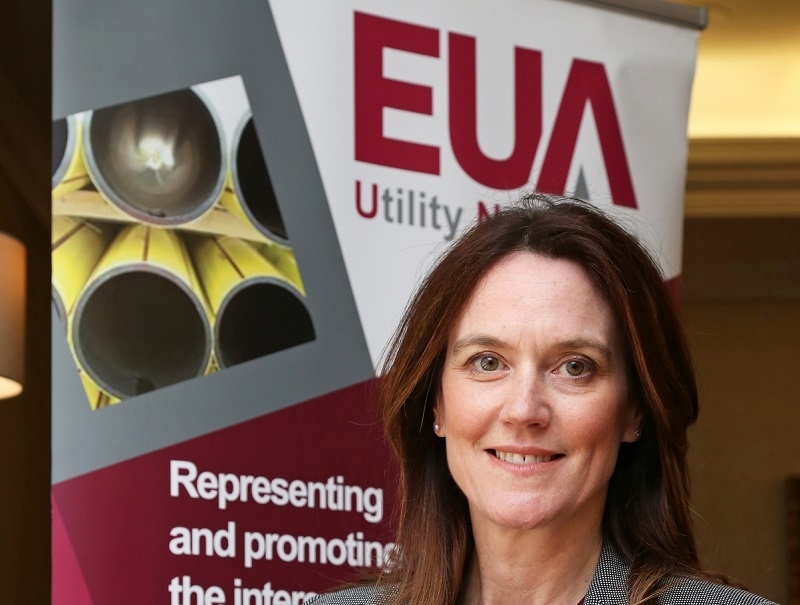 She was recently appointed as the first female president of the Energy Utilities Alliance (EUA), a not-for-profit trade organisation comprised of the Heating and Hot Water Council (HHIC), the Hot Water Association, ICOM Energy Association, the Manufacturer’s Association of Radiators & Convectors, Utility Networks and the Natural Gas Vehicle Network. It is one of the leading industry voices which helps to shape future policy in the sector. In this interview, Elaine shares her motivations and plans as president of the EUA for the next 12 months. Were you interested in engineering from an early age? There are some subjects in school that you’re better at, and my favourite was mathematics. Especially at secondary school, I found science and maths very intuitive. What got you interested in pursuing a career in science? During my A levels, Women in Science & Engineering (WISE) offered a course at Imperial College, London, to encourage women to get interested in science and engineering. As part of the course I attended tutorials including those on maths and materials. I was fascinated by the properties of materials and how they have an influence on the applications they’re used for, such as, at the time, lightweight aerospace alloys. An experiment that particularly stuck with me were rubber balls which turned brittle when submerged in liquid nitrogen. Was this the reason you decided to study metallurgy and materials? I was interested in applied engineering, and the WISE course gave me an insight into the sector. I wanted to be able to see the “consequences” of a material. When did you join Groupe Atlantic, and why? I was working for Baxi as a technology director when someone approached me. I felt ready for a new challenge; with an opportunity to be responsible for the full R&D team with more influence on strategy, I joined Ideal Boilers in 2011. In 2015 Ideal Boilers was acquired by Groupe Atlantic. Being part of a larger group, I now work with a diverse number of brands including Hamworthy Heating, Ideal Boilers, Ideal Commercial, Keston and Gledhill. Science and Engineering plays a crucial part in the manufacture of boilers, especially when it comes to the heat exchanger. That’s where my knowledge of applied engineering comes into play which I greatly enjoy. I’m leading the R&D teams in Hull and Blackpool which means I’m in charge of research and development for all new products and maintenance of existing products. Working with the team, we come up with new concepts, ideas and technologies and make sure objectives are delivered on time, in the expected quality and, of course, within budget. But the role also involves looking at training, skills and people. We ensure sustainability by working with universities and encouraging work placements. Why do you think there aren’t many women working in our industry? The main problem is the stereotype of manufacturing and engineering being a men’s job. It’s still seen as involving heavy lifting and being ‘dirty’. There’s a lack of awareness about what the roles really involve. I would always encourage work experience or having a chat with family and relatives working in the sector to find out what it’s really like. The key is having a passion about science and technology. An observation I’ve made while chatting with females in the industry was that women can be quite self-conscious about their own skills. Unless they feel they can do 100 per cent of the job, they won’t apply for it. Men tend to be more optimistic and self-confident. When they can do about 50 per cent of what the role is asking for, they would still go ahead. How did you become president of the EUA? I’ve been involved in the HHIC for many years and became chair of the Boiler Manufacturers Group of the HHIC in 2016. Mike Foster, CEO of the EUA, invited me to become EUA president which I happily accepted, being inaugurated as vice president in May 2017 and then president this year. What are your plans as president? As president, part of the EUA policy is making sure to focus on specific strategic topics. While this typically means we look at how to influence and advise on legislation, I have taken a different approach, especially given my role as the first female president. My presidency is a great platform for raising awareness of the gender gap and future talent attractiveness for our sector, and what I mean is not positive discrimination. If you look at the industry in general, the average age is relatively high which means in five to ten years, many people will retire. We want to attract new talent to the industry. Look at it like this: we’re currently only appealing to 50 per cent of the population which means we’re missing out on 50 per cent of the talent. No-one is really joining together, and what we need to do is promote the sector to schools and universities. There are big challenges ahead, like decarbonisation of heat and digital manufacturing. The HVAC and building services sectors need to ensure they have the ‘young appeal’. There are plenty of different roles available, as well as engineering there are commercial, marketing, logistics, management and admin roles. The problem is, we’re not very well understood as an industry. All the regulatory demands being made on the industry and the project-based work makes it an incredibly changing, diverse and interesting sector to be part of. What advice would you give women who would like to get started in science? 1. Listen at school and don’t be put off by the difficulty. Subjects such as maths and physics might seem challenging, but they’re logical if you persevere. 3. Look beyond the traditional roles. If you’re good at science, try to find out what roles are out there. There is a varied range: roles in engineering, commercial, marketing, logistics, project management, technical, production, there’s something for everyone. 4. Don’t think about science as an isolated field. Transferrable skills are key. I especially found problem-solving skills you develop in maths and physics beneficial. They open more job opportunities and train your brain.